Considering getting a British Longhair? 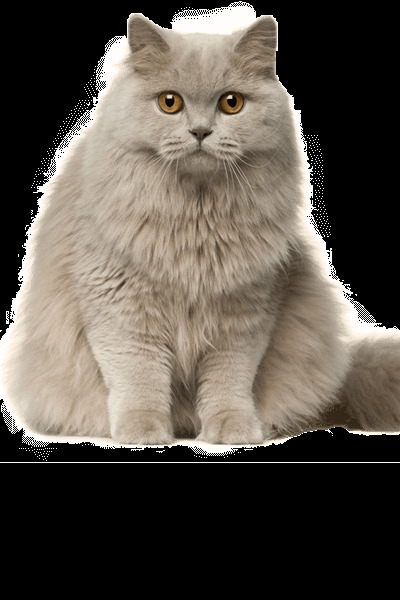 The British Longhair is the longer-haired version of the British Shorthair. Its puffy cheeks and teddy bear-like appearance give it a cuddly look that complements its cheerful disposition. Coming from the oldest English cat breeds, the British Longhair is sociable and a wonderful family pet. Also called the “Britannica,” it is loyal, lovable, and can live with other pets. Are you up for owning a British Longhair? Here is a brief background of majestic moggie. Around the time of World War II, this breed, along with other pedigreed ones, started to decline. To keep it alive, breeders paired the British Shorthair with Persians. Because of this, the resulting kittens look very similar to the long-haired parent breed. However, the British Longhair is distinctly different from Persian cats, whether long or short-haired. 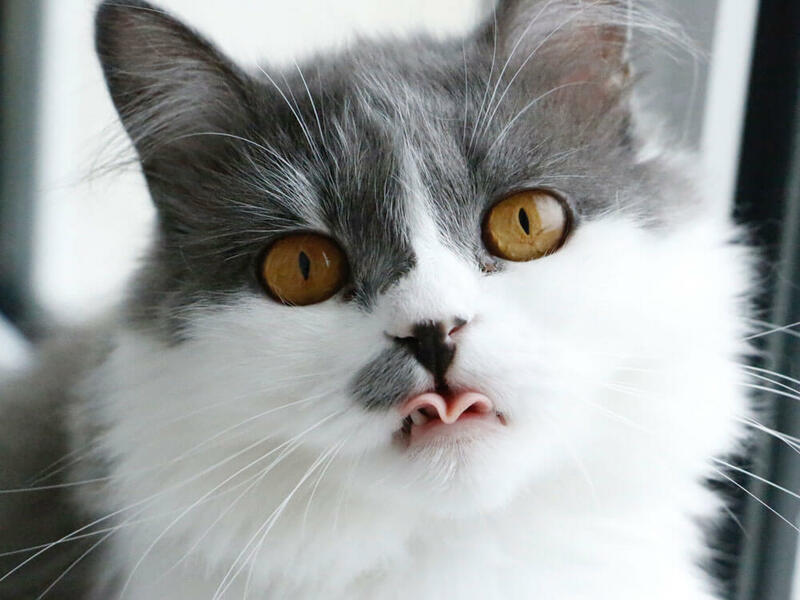 Today, although originating from the British Isles, the British Longhair is not a very well-known breed. It is also still not acknowledged by the Governing Council of the Cat Fancy (GCCF), although it is well-known in other parts of the world. There has been renewed interest in developing this feline breed, though. Also, The International Cat Association (TICA) has granted it full championship status in 2009. As such, its popularity is growing. Like its shorter-haired cousin, the British Longhair is large, solid, and strong. On average, it weighs between 9 lbs to 18 lbs. It also stands at an average height range of 12–14 in. Appearance-wise, this cat breed is basically a British Shorthair with longer fur. Well-proportioned, with the same big cobby body and big head, this feline has a round face and lush cheeks. This, plus its large and round eloquent eyes, lends it an undeniably endearing appearance. Its small ears are rounded at the ends and are set proportionally apart on its domed head. The British Longhair also has a deep chest and sizeable shoulders and backsides. Its legs are short but strong, ending in round paws with close-fitting toes. The back feet only have four toes, whilst the front ones have five. The tail is thick with a rounded tip and is a little on the longer side. This breed also has many coat variations and colours. The British Longhair grey type is a highly favoured variant. As its coat is longer haired, the “crisp” texture is diminished. To maintain the good condition of the coat, brushing must be done a couple of times weekly to reduce matting. The British Longhair temperament is famously laid-back like its short-haired relative. It is a rather sedentary pet as an adult, preferring to nap than play. It is affectionate, but prefers to interact with humans on its own terms. It does not like to be picked up and should be given free rein on when to sit next to its humans. Make no mistake, this feline enjoys attention, but in a non-demanding way. In fact, when it speaks, it does so gently and softly. It prefers to have all its four paws on the ground, though. Although it is tolerant and happy in the company of children, little ones should be taught not to pick it up. As an undemanding cat, the British Longhair is suitable for those who tend to be out of the house for hours. It can amuse itself whilst its human is away, although it should not be left alone for too long. The British Longhair should be provided a nutritious diet that fulfils its breed’s nutritional requirements. It should be consistently offered the same food following the same feeding times. If there are changes to its diet, those must be done gradually to prevent digestive problems. The serving size should depend on the cat’s weight, age, and activity level. Its diet must include at least 25% protein and just 5% of carbohydrates. As it is a solid-bodied indoor cat, this breed tends to put on too much weight. As such, owners should keep tabs on its weight and exercise them regularly. Feline obesity increases risks for diabetes, arthritis, heart disease, and other health issues. Prices of British Longhair kittens can range from £600–£900. 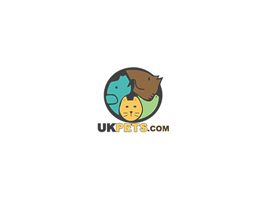 The high cost can be explained by the fact that this breed is not commonly seen yet in the UK. However, its popularity is said to be slowly on the rise. Is a British Longhair Right for You? The long-haired version of UK’s most popular cat is affectionate and laid-back. It is tolerant of children and other pets, making it a suitable family pet. It can be left home alone for a couple of hours. This cat does not like to be picked up, preferring to feel the ground beneath its paws. It interacts with its people on its own terms. The British Longhair’s love for the sedentary life makes it prone to obesity.